Although the author characterizes this book as an "introductory textbook," it in fact covers a wide range of topics and levels and will be suitable for persons at all levels except the most advanced. The first five chapters are preparation for the main part of the book. Chapter I describes the Slavic languages as they exist at present -- their number of speakers, geographic distribution, and geographic relationship to each other and their non-Slavic neighbors. Chapter II covers the writing system of each of the Slavic languages, since one cannot discuss a language without giving examples, and these examples are always cited in the standard orthography of the language in question. Chapter III surveys Old Church Slavic -- its origin, documentation, and affinities to other Slavic languages, in sections on the mission of Cyril and Methodius and its linguistic significance, the documentation of OCS, Church Slavic during the Middle Ages, the origin and nature of the Glagolitic and Cyrillic alphabets, etc. Chapter IV briefly discusses Slavic as a member of the Indo-European family, and Chapter V treats the reconstructed phonology of IE. Chapter VI takes the reader from Proto-Indo-European to Proto-Slavic; Chapter VII covers phonological developments in the period of disintegration; Chapter VIII treats the prosodic features of Late Proto-Slavic, with attention to problems of the individual languages. Chapter IX, over one hundred pages long, is a relatively detailed summary of the major differences in the individual languages, with a section devoted to each language, as well as subsections on various questions associated with each language or sets of languages (e.g., a comparison of Czech and Slovak, a comparison of the East Slavic languages, prosodic developments in Slovene, a note on literary Serbo-Croatian). Appendices contain an extensive comparison of basic vocabulary in each of the languages, three sets of parallel texts in the various languages, dialect maps, glossaries of the Slavic words used throughout the text, a 14-page bibliography, and an index. 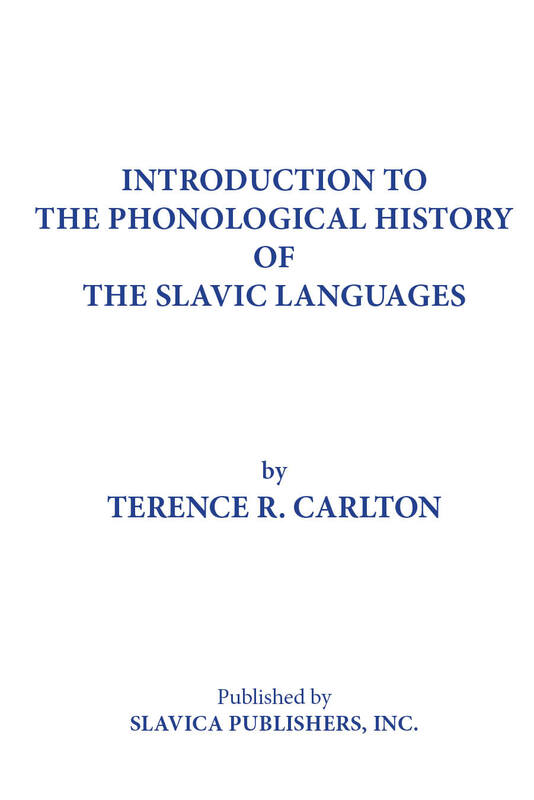 Carlton's book will be a must for the bookshelf of every student and scholar interested in the history of the Slavic languages and their relationships to each other.